Courthouse Libraries BC (CLBC) is pleased to announce extended hours in three heavily used branches, which will increase access for members of the public. As of today, Kamloops, Nanaimo, and New Westminster will all be open full time, Monday to Friday, from 8:30-12:00 pm, 12:30-4:00 pm. The extended official hours assure that members of the public and all lawyers have more access on Fridays, and that all clients in these locations can benefit from staff expertise for extended hours as well. These improvements are made possible by funding from the Law Society of BC and Law Foundation of BC. CLBC’s vision is for members of the public as well as lawyers to have the legal information they need and the skills to use it. Now Kamloops, Nanaimo, and New Westminster will offer a similar level of in-person service as CLBC’s other regional libraries in Prince George and Kelowna. Vancouver and Victoria branches continue to offer continuous uninterrupted staff assistance from Monday to Friday, from 8:30-4:30 pm. BC Centre for Elder Advocacy and Support is holding a Government Benefits for Older Adults Workshop on Tuesday, October 11 at East Richmond Community Hall (12360 Cambie Road, Richmond), from 10am – 11am. Contact 604-233-8372 for details. People’s Law School and Legal Services Society are collaborating to put on a free Introduction to MyLawBC on Tuesday, October 11 at 12pm – 1pm at People’s Law School located at 150-900 Howe Street, Vancouver. Register here. BC Employment Standards Coalition wants to hear about your bad job at their October Workers Forums from October 11-20 in Surrey – Cloverdale, Burnaby – Central, Vancouver – East, North Burnaby/Coquitlam, Vancouver – Downtown and New Westminster. See dates, locations and times on the CLAS blog here. 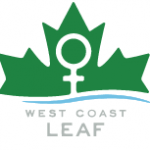 Burnaby Public Library, in partnership with West Coast LEAF, is presenting a Legal Information for Safety Online information session on criminal issues around personal safety that may arise while using the internet. Thursday, October 13, 7pm – 8:30pm. 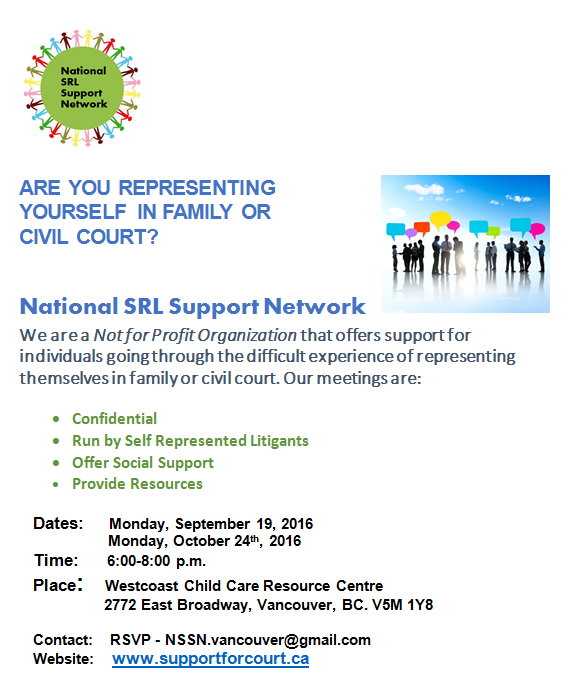 Register online here or by phoning the Bob Prittie Metrotown Branch at 604-436-5400. 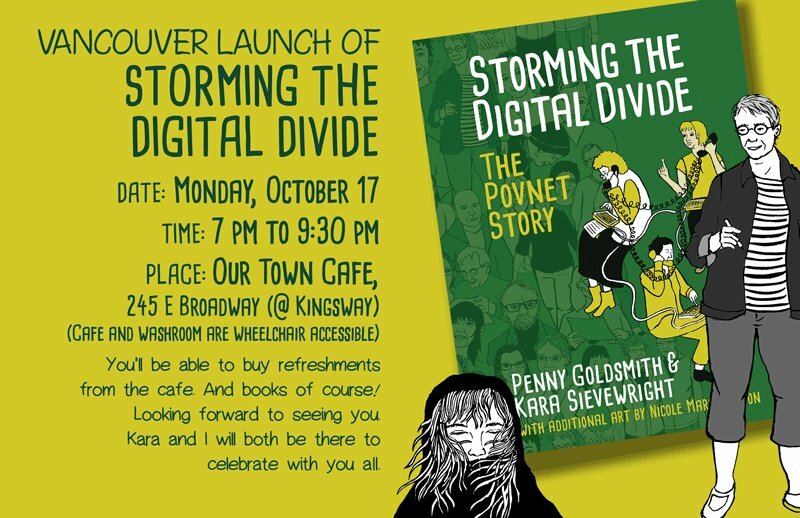 Hear the PovNet story at the Vancouver launch of Storming the Digital Divide, Monday, October 17, 7pm – 9:30pm. 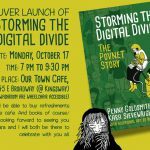 Our Town Cafe, 245 E. Broadway (@ Kingsway) The cafe and washroom are wheelchair accessible. Nidus is giving two more online Webinars on Personal Planning: October 19 & 26, at 11:30am – 12:30pm, online. Learn about Planning for Health Care & Personal Care, as well as Financial & Legal Matters. Register at the links here. To kick off Personal Planning month, Nidus is hosting an Essentials of a Basic Plan for Your Future: Thursday, October 27, at 1pm – 2:30pm, at South Granville Seniors Centre, 1420 W. 12th Ave, Vancouver (at Hemlock), 3rd floor lounge. People’s Law School is hosting a speaker from the Bank of Canada for an event on Currency Fraud on Wednesday, October 26 at 12pm – 1pm at People’s Law School located at 150-900 Howe Street, Vancouver. Register here.